After months of political wrangling, the Health and Social Care Bill has finally made it to parliament. There has rightly been fierce scrutiny of this important piece of legislation – its implications will affect all of us at some time in our lives. For older people it is particularly important because they’re already the largest cohort of patients in the NHS and with the number of people aged 65 and over set to rise by 65 per cent in the next 25 years to almost 16.4 million, there will be a higher prevalence of people living with multiple long-term conditions and physical frailty. So, will the reforms deliver better healthcare for older people? Author Michelle MitchellPosted on January 31, 2011 Categories GeneralTags Health & wellbeing, Health and Social Care Bill, NHS1 Comment on Delivering better healthcare? This article was originally posted on Left Foot Forward. This week, the Guardian reported doctors warning that thousands of hospital patients in later life are being made to stay in hospital for longer than they need to, because of inadequate provision of residential care or care at home. In this survey of 502 doctors, 50 per cent reported that the ‘bed blocking’ situation was worse than a year ago. With significant cuts to council funding, it’s feared that next year’s results won’t be any better. 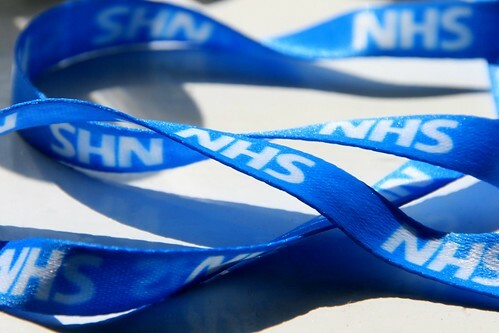 This week, the NHS Alliance holds its annual conference, bringing together a legion of professionals working in primary care and the many people who want to speak to them. One group of professionals is likely to be particularly popular. GPs, who will soon be holding the NHS credit card, will not be short of networking opportunities. Given the expected budgetary pressures facing the NHS, the conference is perhaps unfortunately titled “The Cutting Edge”. This does, of course, focus the theme on innovation, but out in the real world we’ve started to see the clearest signs of PCTs starting to tighten their belts. While there have been plenty of anecdotal reports of reductions in services and staff numbers, a second PCT has this week identified specific procedures and treatments it will no longer fund. The headline grabbing treatments would perhaps surprise some that the PCT ever funded them at all – the likes of tattoo removal or hair transplantation. It is debatable to what extent refusing to pay for the featured treatments would impact on a person’s overall health and capacity.